Well as you know, I was selected by Canberra's Tourism Authority to take part in an unique social media experiment, the Human Brochure. The idea is that instead of spending money on traditional advertising and PR for the upcoming centenary of our nation's capital, they would invite 500 social media savvy humans to create a live, living and growing, online brochure. So here's the first part of how it panned out. After a few worried days and sleepless nights, I started off on my great adventure on Friday morning. 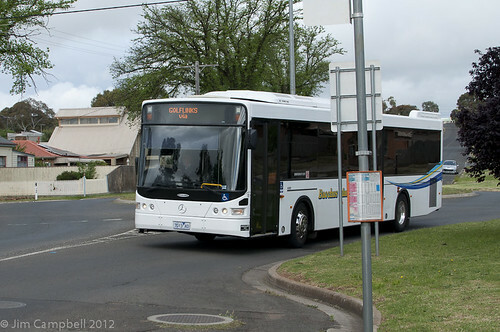 I started with a local Bacchus Marsh bus from just near my house to get into the centre of Bacchus Marsh proper. Several minutes later, I was standing outside the Blacksmith's Cottage and Forge (gratuitous plug) waiting for the shuttle bus from Ballarat . This took me through Melton where ideally it would have picked up my friend Allan and his lovely wife Judy who had been selected to be on the Arts & Culture stream. Unfortunately Allan was not well and they couldn't make the trip. I hope they get to go on the February version. 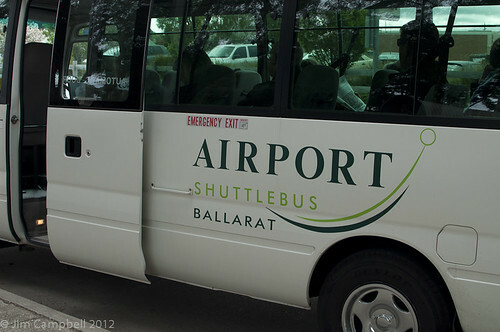 And so, circuitously (I have no idea of the route we took), to Melbourne airport. Note the louring sky. That was the last serious cloud I was to see for the weekend! Since I was so early at the airport (the next shuttle bus would have got me there five minutes too late to check in), I was one of the first at the departure gate. It was fun to watch people turn up and try to guess if they were Humans or just ordinary, you know, humans. As some of you may have noticed, I use a consistent avatar across all of my social media presence. The little blue fuzzy Cookie Monster doll was a gift from someone who thought the fact that I actually can cook a little bit was somehow relevant. The avatar shot was one of the first I took when I got my beautiful Tamron 60mm f/2 macro lens. Later on, I animated it and made it wink. The avatar, not the lens! Anyway, since I'm known around the webz as a googly-eyed, blue-fuzzed muppet, and am in fact an old, grey-haired, fat man, nobody in the departure lounge was going to recognise me. To overcome this, I pinned my little blue friend onto my jacket lapel! 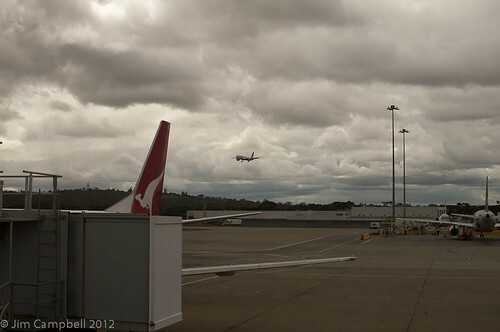 Having made some new friends, it was time for a completely uneventful 40 minute flight to Canberra. On arrival we were met by some very friendly "Human wranglers" who checked us off and put us on coaches for the short trip to our hotels. 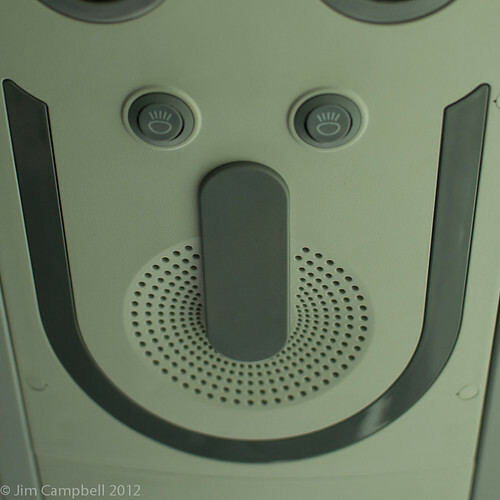 Even the coach seemed happy to see us! After some free time to get settled in to my wonderful suite (yes, suite) at Mantra on Northbourne, we gathered in the lobby for the short trip to the Australian War Memorial where there was to be an official opening and reception. Now I admit that I made a slight mistake here. I was expecting a few speeches, a 'Welcome to country', maybe an introduction to some of the leaders of this fascinating experiment, a glass of wine, maybe a sandwich. I didn't even bother to take a camera. What an eye opener! We got all of the above and more. Oh, so much more. After the official welcome we were ushered into ANZAC Hall where the 250 Humans were almost outnumbered by War Memorial staff and volunteers, catering staff and traditional media people. Food and drink flowed freely. And such drink, such food! The smoked lamb cutlets were a particular favourite, I saw people chasing down the servers to get seconds (and more). It was like a Hobbit party. To add to that atmosphere, we were shown a wonderful presentation on a hugely wide screen about the origins of aerial warfare. This was made especially for the AWM by none other than Sir Peter Jackson, director of my all-time favourite movies, The Lord of the Rings. After that we were free to wander around ANZAC Hall and view the other exhibits where there were volunteers in period uniforms to give fascinating presentations which further explained what was on show. There were stories and dress-ups for the children and time to meet even more Humans, more scrumptious food and even more drinks! When it came time to leave, we were introduced to another thing that quickly became the norm for the weekend. Gifts. Everywhere we went, even though the various places had already gone way out of their way to showcase the very best that their facilities had to offer, they still wanted to give us gifts. Not hugely extravagant gifts, but meaningful gifts. As we left the AWM we were each handed a small pin representing a set of wings from the Australian Flying Corps and a pack of poppy seeds. That would wrap up a pretty big first half day for most people, but when we were dropped off back at the Mantra, some of us decided that we were obliged, for the purposes of research, to check out the nightlife on offer in Canberra. I feel that this was particularly noble of us given that Saturday was a 6am call! More drinks, good music, some evil person bought a round of tequila shots. I got kissed by some of the girls. Well, more accurately, my little blue avatar doll got kissed*. Eventually we marched, upright and resolute, through streets that were somehow more winding than they had previously been, back to the hotel. Thus endeth, finally, the first day of the Human Brochure. More to follow. *If you have photos of this, or any photos in which I appear, I'd love to see them. Please let me know in the comments where you've posted your photos or blogs. Ha ha, can't believe there was a Human on Night One at the AWM without their camera!! Yes, a silly move, which I regret! Thanks for dropping by.